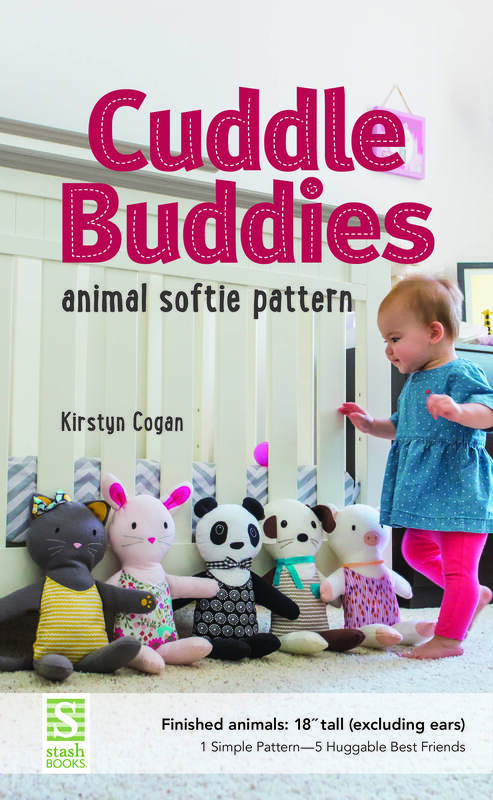 Huggable Cuddle Buddies are fun and easy to make! One pattern makes up to five different animals simply by changing the face, ears, and tail. In class, students can make a playful puppy, bouncing bunny, charming kitty, happy panda, or a sweet piggy! This class is for confident beginners and covers basic cutting and machine sewing techniques, simple appliqué, and easy hand embroidery. Students will leave the class with one Cuddle Buddy and will be able to watch a Cuddle Buddy come to life—and see the smiling face of whoever receives it. Photo: Cover image – OR a collage of images on pages 2-3. 5–8 hours, depending on instructor’s preparation and student’s skill set. Single day. Instructor may consider precutting (or having students precut) the body pieces and/or pretrace the facial features to speed class time. 1 skein of coordinating embroidery thread for any details you wish to embroider, such as whiskers, eyes, or nose. Shop Opportunity! Make basic body kits available containing the basic body fabric, embroidery floss, and felt details for each animal. Have a fun stack of fat quarters available too (for the body “clothes”). It saves class time to set up a basic supply box for each student ahead of time. OR, if students are bringing their own supplies, consider having extra supplies ready to go and available in the classroom for purchase during a break or after class. TIP: Have a stack of copied supply lists and check off any supplies desired by a student. They can then take the list to the register, making the purchase super easy to ring up! Also set up two communal stations: a light box station (or access to a sunny window) and an ironing station. 1. Trace and cut out body parts. 2. Apply appliqué and embroider facial features.